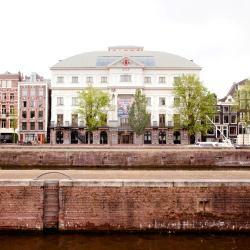 Looking for hotels near Rijksmuseum? Dutch Masters Short Stay Apartments are conveniently located in the city center, along the Keizersgracht canal and a 7-minute walk from the Van Gogh Museum. There is free Wi-Fi. The luxurious Conservatorium Hotel, part of The Leading Hotels of the World, is located within 656 feet of the famous Vondelpark and Museumplein. The building is amazing. Really one of the most beautiful I've seen. This elegant hotel was built in 1900 and is officially listed as a monument. This hotel combines an elegant Art Deco heritage with modern facilities and the roaring twenties ambiance. I appreciated the choice of various pillows and they added a bed-board for my lower back. Even if you’re not “into” art, and I definitely am, this museum is a must see in Amsterdam because all the important masters are easily accessible so you can one gallery including The Night Watch. Get your tickets before you leave home. Get your tickets before you leave home. Crowds can be an issue and everyone wants to stand in front of the Night Watch! Lots of tours going on which can slow down internal progress through the museum. The 17th Century Dutch art is the most crowded, but also the very best section. Wonderful paintings, Delft ceramics to die for. They had very little of the 19th-20th century portion open on this trip. If you're staying in The Netherlands for a week or more and love museums, the Museumkaart is well worth the 59 euros. We bought ours here. It gets you in to most of the good museums in the country. And you can dip in and out. I went here twice - the second time just visiting the highlights. Great museum. Wonderful art. The Rembrandt's were gorgeous but the crowds were massive. I suggest getting a guided tour, that includes a "Pass the Line" ticket for here and the Van Gogh. You do not want to stand in those lines for hours to get in to either one. 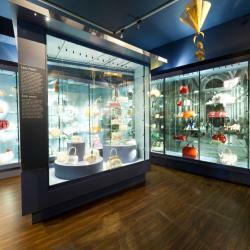 People are talking about Rijksmuseum! Explore guest hotel reviews featuring "Rijksmuseum"
The Hotel van de Vijsel is practically brand new, and the room was spotless. We loved the woodsy/rustic theme - it felt more like staying in a mountain lodge rather than the heart of a major city. 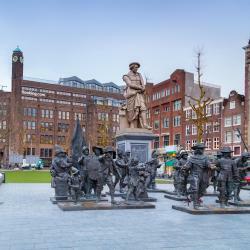 The location is great as it is within walking distance to the Vondelpark, RIjksmuseum, and Van Gogh Museum, and a 5 minute walk to multiple tram lines that run through the Canal District to Centraal Station. Lots of restaurants in the area as well. Eden Hotel is a great option for business travellers and for value for money seekers. Nice location: 5 min by walk from Waterlooplein metro, still walking distance from the downtown and central railway station, next to Remrandt square and trams, walking distance to Rijksmuseum and other museum's attractions. A lot of food spots arround. Really great breakfast included. 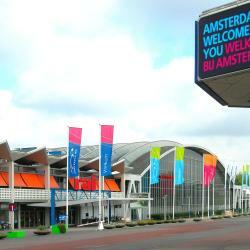 Great budget hotel, its location is very convenient - just next to Rijksmuseum. Very friendly and helpful staff! Breakfast was included into the price of stay and the staff provided vegan option to me : soy milk, hummus, baba ganoush, peanut butter. It is true that the stairs are very steep, but it is in the most houses in Amsterdam. :) I would stay there again! I liked the location! It was about 25 min by foot from the city center and really close to the Heineken experince and Rijksmuseum. I liked the fact that right in front of the hotel there was a Lidl Supermarket, where I could buy snacks and neccesities at the last minute. The room was clean and they changed the towels every day. The staff was friendly and helpful. The staff was great and very helpful. The location is fantastic. 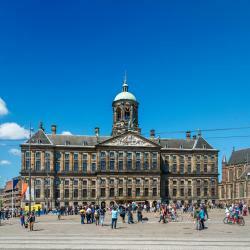 Less than 100 meters to the Van Gogh Museum and Stedilijk Museum and 400 meters to the Rijksmuseum. About 100 metes to the nearest Tram stop. Many restaurants in the neighborhood from small to major. Great shopping if you are into that and very close to Vondelpark. Friendly staff, though small the room is nice from the sunroof window up top to the fantastic location near Rijksmuseum and Van Gogh museum. As well as close to a metro stop. Breakfast was very cheap for the price, and the buffet was delicious. The hotel is beautiful and very well located! Only 5 min away from the centre and 2 tram stops away from the Rijksmuseum. Bed is really comfy, I was happy to get back to the hotel after a whole day walking! The room was very comfortable and clean! Charming boutique hotel!! Great location, close to the Van Gogh Museum and the Rijksmuseum!! I usually come here to the opera but there are plenty of nice things to do, such as visit museums, do the tour of the city by canal bus; my favourite quarter is around the Leidse plein. The Rijksmuseum is one of my best expériences and it is always a pleasure to visit this museum. The newly renovated Rijksmuseum is great, its courtyard cafe exceptionally stylish, with good, fresh food and super service. Warning: the coffee is hyper strong! Rijksmuseum for sure, and the Frans Hals in nearby Haarlem. We were able to take photos in the Rijksmuseum provided we did not use a flash.